Behind its better known competitors in the U.S. and India, Nigeria has the world’s third-largest movie industry. Nigerian films, made under the banner of Nollywood, are ubiquitous across Africa and the industry is prolific, pumping out around 50 full-length movies per week.50 full-length movies per week. Many outside of Africa have never had the chance to experience Nollywood’s charms. But now that streaming service Netflix has launched in Nigeria, the country’s cinematic offerings are becoming more widely available. Here’s a beginner’s guide to 10 Nollywood films you should make time for. 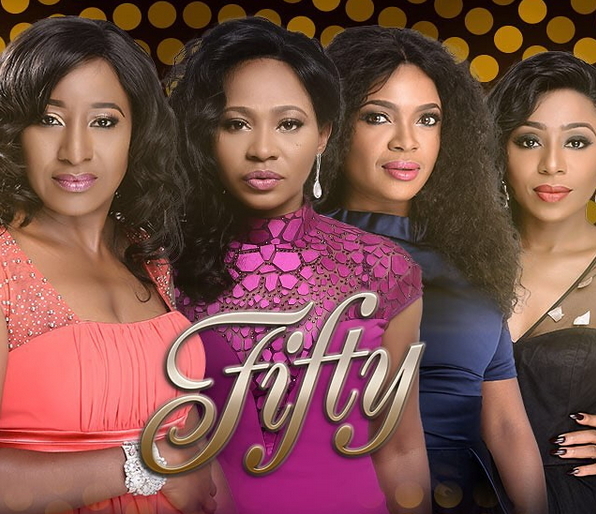 Set in Nigeria’s most populous city of Lagos, this drama follows four 50-year-old women as they each encounter their own mid-life crises. The movie features music from Femi Kuti, son of Afrobeat legend Fela, and promises to make you “see African women like never before.” As an extra bonus, the movie is available on Netflix. This soon to be released romantic comedy Diary of a Lagos Girl features Bim (Dalopo Oni), whose impending role as a bridesmaid hastens her search for a partner. She doesn’t expect a lot: He just needs to be handsome, rich, funny and influential. Her search leads her to Ife (Alex Ekubo), and together they learn about the true value of love. Featuring U.S. star Danny Glover, of Lethal Weapon fame, this forthcoming medical drama about Nigeria’s first Ebola case has generated controversy even before its release. The movie focuses on Ameyo Stella Adadevoh, the late doctor who correctly diagnosed the first case of Ebola in the country and helped prevent an outbreak before tragically succumbing to the disease herself. Adadevoh’s family disputed the film, claiming it was inaccurate, a charge rejected by the movie’s producers. Hype has been building for several years around this forthcoming historical fiction, which focuses on the 1976 coup during which Nigeria’s then-military ruler, Murtala Mohammed, was assassinated. The story is told from two perspectives: a soldier accused of involvement in the coup and his heavily pregnant wife who is left alone while her husband is interrogated. Starring award-winning Nigerian actor Ramsey Nouah, the film went through a seven-month-long approval period with the Nigerian military before production started. Starring Nollywood’s arguably two most popular stars, Omotola Jalade and Genevieve Nnaji, Blood Sisters tells the tale of two sisters, raised only by their mother, who turn on each other thanks to jealousy. A failure to overcome their sibling rivalry leads one of them down a troubling path. A classic Nollywood tale if ever there was one. Written and Produced by Chinwe Egwuagu, Mr. & Mrs. takes us through the lives of two couples who on the surface appear to be complete opposites. The Abbahs exist in a loveless marriage, with Joseph unwilling to appreciate the many sacrifices Susan makes. Demonstrating what a marriage should be like, Linda and Charles are inseparable. However, as is the hallmark of Nollywood, things soon deviate drastically from first impressions, and the couples are forced to reassess their relationships. Director Kunle Afolayan’s October 1 takes us back to 1960s Nigeria, a crucial time in the West African state’s history as it transitioned from colonial rule to an independent state. A northern police officer is tasked with traveling to a small village in the western region to solve a series of female murders. As independence day looms, officials grow increasingly worried that the horrific crimes will mar the new independent state. Rumored to be the highest grossing film in Nollywood history, Robert Peters’ comedy 30 Days in Atlanta follows Ramsey Nouh and AY on their journey to America. After winning a local raffle, the two cousins struggle to adapt to their new culture as they quickly learn that life is very different from what they are used to in Nigeria. A short film directed by Tolu Ajayi, The Encounter examines the relationship between ex-Nigerian military officer Chukwuemeka Odumegwu Ojukwu and his close friend, Emmanuel Ifeajuna. The former declared an independent republic of Biafra in southeast Nigeria in 1967, sparking a three-year civil war in which more than one million people died, many due to hunger. The latter was eventually executed on Ojukwu’s orders for betraying the Biafran cause. A recent surge in pro-Biafran sentiment, which has seen thousands of Nigerians demonstrating and demanding independence from Nigeria, makes this film—available on YouTube—particularly timely.